We've already been given a sneak preview of Android M but it's going to be a few months yet before it's pushed out to the public or even given an official name. In the meantime, let's turn our attention to Android 5, also known as Lollipop - the best-looking and most powerful mobile OS yet from Google. 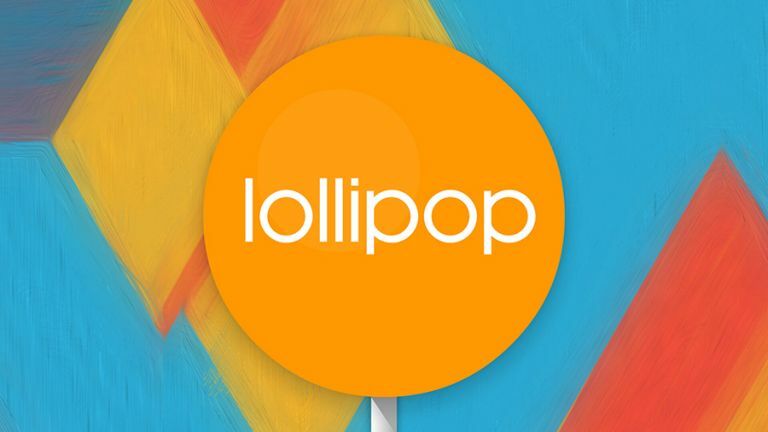 Unveiled in 2014, Lollipop represents a huge step forward in terms of design and functionality for Android. The material design elements adopted by the OS (and now by many of its apps as well) give it a modern and fresh look, and it shows Google is ready to go toe-to-toe with Apple in the OS wars. One of the first features you're going to need when you start up your new Lollipop device is Tap & Go: it uses NFC and Bluetooth technology to move all of your Google account details and device settings over from an older handset. You should get the option to "tap and go" as soon as you boot up Lollipop on a new device and (appropriately enough) it only takes a tap to get started. Wallpaper and widget settings are transferred too. Screen pinning lets you focus on one app in particular and it requires a special key shortcut (Back and Overview) plus your PIN (if enabled) to quit the app. It's best used to restrict someone else to one app when you lend them your phone. You can activate the feature via the Security menu in Settings. Next, open the app to pin, press the Overview button, then drag your app up into the centre of the screen - you'll see the button in the lower right-hand corner. If you're sure you've seen a particular option on your device but really can't remember where, Lollipop makes searching through the system settings just as easy as searching the web. You can look for Wi-Fi networks and Bluetooth devices too. Head into the Settings app and you'll see a magnifying glass icon in the top right corner that wasn't present in earlier versions of the mobile OS. Tap on this icon, start typing, and settings results appear in a list underneath. Lollipop gives you much more control over which apps can distract you during the course of the day and which can't. Head to the Settings app, choose Sound & notification and then App notifications from the subsequent screen. Pick an app from the list and you can configure specific settings for this specific app: you can block alerts altogether, choose to show them only in Priority Mode, and prevent sensitive information (like SMS previews) appearing on the lock screen. Lollipop includes better support for alternative launcher apps. You can find a list of the currently installed ones by choosing Home inside Settings (the default one in Lollipop is the Google Now Launcher). Not familiar with launchers? A launcher replaces the home screens on your phone with different layouts and icons, letting you take more control over the interface. Nova Launcher and Themer are good places to start. Guest mode can come in really handy if you need to lend your phone to a friend or a young relative... It works like guest mode on a desktop computer, giving someone else access while protecting your own apps and files. Swipe down from the top of the home screen, then tap your avatar twice to see the user accounts you can switch to, including guest mode. Tap More settings to specify whether guests can make phone calls or not. For a long time the stock version of Android didn't have any built-in battery saving features (though the likes of Samsung did add them on top). Google has made up for the omission in Lollipop with a dedicated Battery saver tool. Head into Settings, choose Battery and then tap the menu button (three vertical dots). On the subsequent screen you can turn the Battery saver on or off and specify at what point it should kick into action. If you don't want to have to enter your PIN code every time you unlock your phone at home, you don't have to - Lollipop's Smart Lock mode enables you to disable lock screen security at certain locations, and you can find it in the Security section of Settings. You might want to set your home and your office as places where you don't want the hassle of entering your PIN or pattern code, for example; the code will automatically re-enable itself once you leave those locations. Underneath the main selection bar you can choose to keep your virtual Do Not Disturb sign up indefinitely or for a specific period of time. If you're running Android 5.1, you can choose Until next alarm too (if you have one set). The dinky Chromecast dongle has proved to be a big success for Google, and in both KitKat and Lollipop you can mirror your device's screen on a Chromecast just in case a particular app doesn't support the function natively - it's useful for games, photos and so on. In Lollipop, you can drag down the quick settings panel and tap Cast screen to begin broadcasting. Your nearby Chromecast should then appear so it can be selected. You can find the same option via the Display menu in Settings.